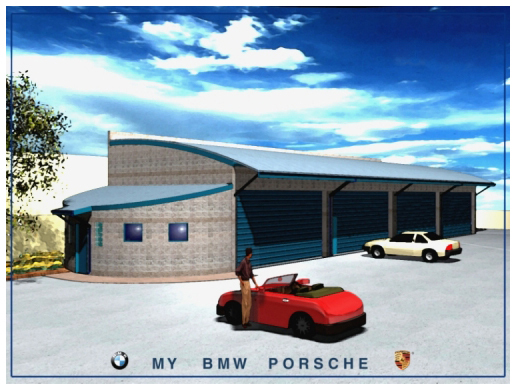 The MY BMW/Porsche dealership in Seaside, CA, expanded its service facilities. 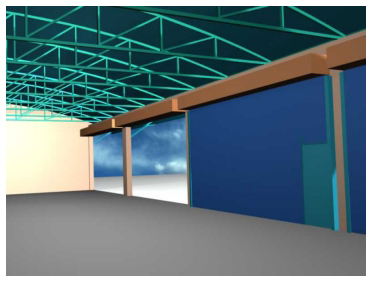 These concept drawings show a masonry building with a curved metal roof over steel trusses. Four bays of two cars each are designated for vehicle maintenance and detailing. At one end of the building, curved walls with glass block encloses an exercise room for employees.